Oahu has some of the most beautiful beaches the world has to offer, and they're completly FREE to the public day or night. But the secret is to know where they are and the best time to go. 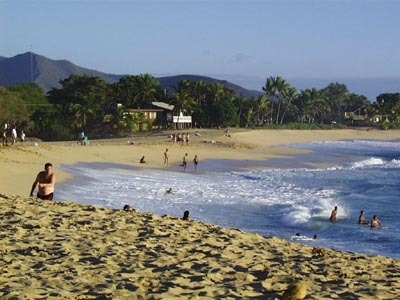 The beauty of being a visitor is, you have unlimited time to go to the beach, meaning with most of the locals either working or in school, Oahu's beaches are nearly deserted during the week!!! All there for the taking. In addition to the famous usual beaches such as Waikiki and Waimea (and I truely recommend Waimea over Waikiki) there are spectacular lesser known beaches such as Mokuleia & Pupukea on the North Shore, Ala Moana and Daimond Head on the South Shore, Nanakuli and Kaena Point on the Western Shore, Kahana Bay and Waimanalow Bay on the Eastern Shore.